He also said that both Israelis and Palestinians will "not be pleased with some of it," Channel 12 news reported. Omar Abu Lila killed two #Israelis and severely injured one in March. What's it like spending your night in a bomb shelter? 25 yr old Einav, a college student who lives a few minutes from Gaza, filmed herself and her dog Anchel so you'll understand. Hamas is firing rockets at innocent Israelis just like Einav. Share her story. The Iranian regime tries desperately to sow hate between Iranians and Israelis. They won't succeed. When this regime finally falls – and one day it will – Iranians and Israelis will be great friends once again. I wish the Iranian people success in their noble quest for freedom. The situation in Gaza is a humanitarian crisis. The United States must play a more aggressive and even-handed role in ending the Gaza blockade and helping Palestinians and Israelis build a future that works for all. What Israelis are dealing with. Hamas intentionally established their HQ next to a school. We just found a FOURTH Hezbollah tunnel dug from Lebanon into Israel. OVER THE LAST HOUR: 80+ rockets fired from #Gaza at innocent Israelis. The Iron Dome intercepted several of them. We are currently striking terror targets in the Gaza Strip. This Hezbollah attack tunnel dug from Lebanon into Israel was funded by Iran & costs millions of dollars. As you watch this video, think about how that money could’ve been invested in the Iranian or Lebanese people, but Lebanon allowed Hezbollah to invest it in killing Israelis. WATCH: Armed with knives, Palestinian rioters crossed into Israel, wanting to kill Israelis. Not an unarmed protest. 🚨 Each of these notifications means an air raid siren sounded in southern Israel, signaling Israelis to seek shelter from incoming rockets from #Gaza. Araud:Trump's "more popular than Netanyahu in Israel, so the Israelis trust him. That’s the 1st bet, Kushner told me.The 2nd is that the Palestinians may consider it their last chance to get limited sovereignty. The 3rd element is Kushner is going to pour 💵 on the Palestinians." Araud says "Trump is uniquely able to push the Israelis, because he is so popular in Israel… he may do it. Once Trump told Macron, “I have given everything to the Israelis; the Israelis will have to give me something.” He is totally transactional." The basis of Kushner’s peace plan, says @GerardAraud , who, like everyone, has not seen it, is "the powerful party imposing terms on the weaker party… a proposal very close to what the Israelis want. Is it doomed to fail? I should say 99% yes, but 1%, you never forget the 1%. " 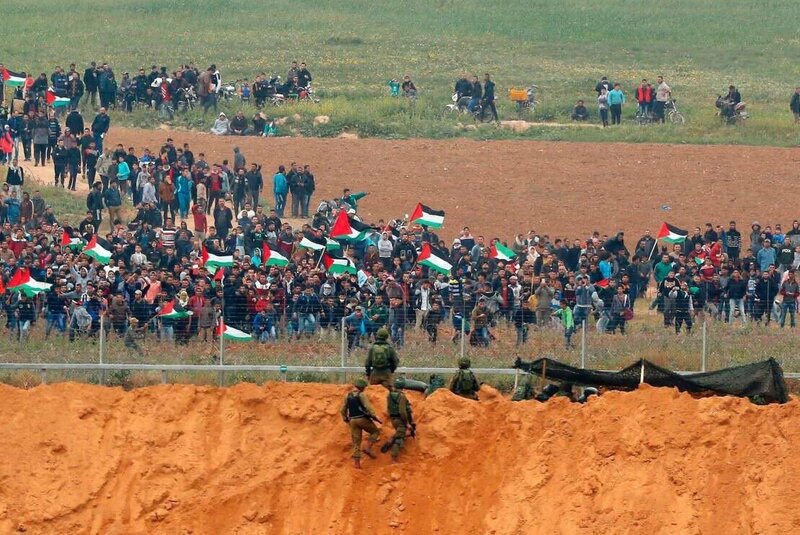 Greenbatt said that "we ask both Israelis and Palestinians go over the plan before they voice their concerns about it and not to reject it right off the bat." Shalom from Israel! The people here are very excited about our embassy opening in Jerusalem on Monday, which I’ll be attending. I’ve met many Israelis who revere President Trump. His popularity here is enormous. There are Trump signs everywhere. Israelis went to the polls yesterday and demonstrated yet again that they are the Middle East’s sole, thriving democracy. I congratulate my good friend @netanyahu on securing reelection as Israel’s Prime Minister! Attempts by MSM to link the tragic Gaza deaths to Embassy move are absurd. Ppl in poverty exploited b/c Hamas takes $$ for food, housing, & education and builds bombs&rockets & sends them to border to break barriers to kill Israelis. Tell the truth about Hamas! 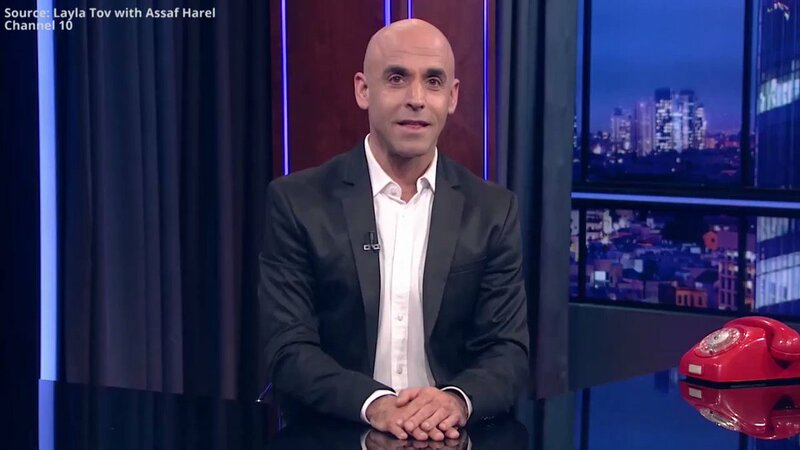 In last monologue, Israeli comedy show host implores Israelis to wake up and smell the "apartheid"